“Being able to move around during childbirth is a good, gentle way for mothers to advance their labour. Walkers make it easier for them to take a short walk in the corridors,” says Kerstin Sjöblom, Head of Care in the maternity ward at Karolinska. 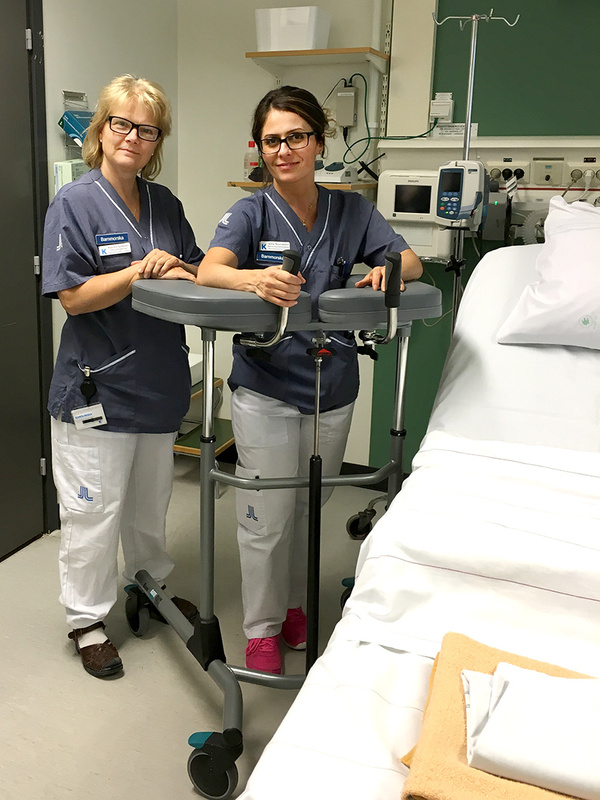 They’ve been using walkers at Karolinska University Hospital for several years and they are much appreciated by patients and staff alike. While no study has been carried out on the impact walkers have on labour, Kerstin is convinced that they are significant for patient turnover on the maternity ward. "Staying mobile during labour usually moves the process along and mothers can leave the ward earlier, which means we free up space for the next patient more quickly. But the Walkers greatest value comes from its fantastic ability to help patients move around during labour; this is incredibly important," concludes Kerstin Sjöblom. Walkers are a product that make day-to-day healthcare work easier. They are a functional, cost-effective mobility aid and rehabilitation tool you should not be without.